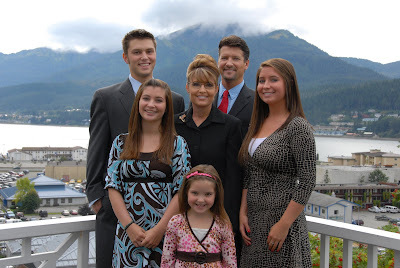 The controversy surrounding Sarah Palin and her 17-year-old daugther, Bristol, is largely due to the blogosphere, which is showing not only how the line between legitimate news and flat out rumors is blurring, but also how new media is changing the political landscape. ...The first in stance was over the weekend when and Internet rumor started at Daily Kos about Sarah Palin's youngest child, Trig, who was born in April with Downs Syndrome. It became news fodder lighting up the headlines across the world, all using the Kos story as their base, which included a photo DailyKos misrepresented as being from 2008 when in reality it was taken in 2006. Yesterday again, another rumor based story hit the headline news at ABC and in the New York Times, with a piece based on the word of a woman, who took the rumor told to her by another person and gave it to the New York Times as fact, which in turn, the Times and other media outlets ran with it, none of them bothering to do the simple verification process that would have shown them before they reported, that it was all based in "incorrect" information. If Palin actually steps down from the candidacy because of the scandals, then this is truly the dawn of a new media revolution.